Stuck in a Superman role. From the song "Superman's Ghost"
Many years ago, I attended a Don McLean concert at the old Forum at Ontario Place in Toronto. McLean sang a song he had written called "Superman's Ghost." 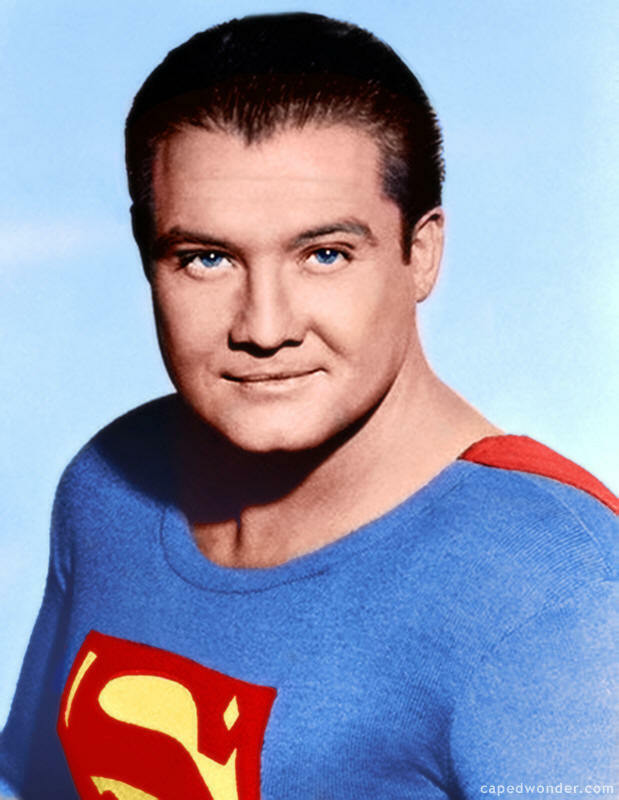 It is a tribute to actor George Reeves and McLean explained how Reeves was typecast as Superman. Yesterday was the 54th anniversary of Reeves' death. He died under mysterious circumstances in the early hours of June 16, 1959 at the age of 45. George Reeves was born George Keefer Brewer on January 5, 1914 in the tiny farming community of Woodstock, Iowa, He was the son of Helen Lescher and Don C. Brewer, a pharmacist. Helen was raised in Galesburg, Illinois where her father, George Lescher, operated the Lescher Drug Store. She met Don Brewer at her father's pharmacy and the couple wed in late 1913 when Helen was about four months pregnant. For this reason, she later claimed an April 6, 1914 birth date for her child. Helen and Don moved to Woodstock, Iowa where George was born. Helen soon divorced Brewer and returned to her hometown of Galesburg with her son. Brewer remained in Iowa where he married another Helen - Helen C. Schultz - about 1925 and had two children. Don Brewer died on February 18, 1969 at the age of 79 without seeing his first child, George, again. George and his mother eventually relocated to Pasadena, California where she met and married Italian-American Frank Joseph Bessolo. According to documentation compiled by Serena Enger (with the assistance of Gail Carter, the granddaughter of Frank's second wife, Althea "Alice" Weaver, whom he married in 1935 in San Francisco), Bessolo was a veteran of World War I. He was employed in the banking profession until the stock market crash and subsequently became a salesman for Bohemian Distributing and LA Brewing. A television episode of A&E Biography, asserts that Frank Bessolo legally adopted young George in 1927. As a result, the 14-year-old took his stepfather's name and became known as George Bessolo. Helen's marriage to Frank, however, did not last. She divorced him in 1932. George became a heavyweight boxer in amateur matches for a time. He later attended Pasadena Junior College where he developed an interest in acting. While studying drama, George performed in many productions at Pasadena Playhouse. It was there that he met actress Ellanora Robinson Needles who came from a well-known circus family. She was to become his wife. George and Ellanora wed on the evening of September 21, 1940 at the Church of Our Saviour in San Marino, California,. George's friend and fellow actor, John Wilcox, served as best man. Ellanora's uncle, John Stevens, walked her down the aisle. After a decade of marriage, the couple divorced in October of 1950. They had no children. In 1939, George received his first film credit for his performance in the opening scenes of Gone with the Wind. 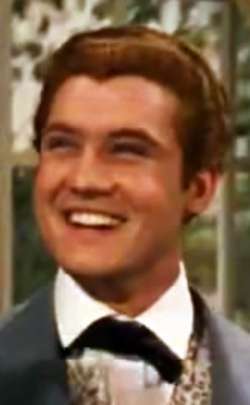 With his hair dyed a bright red, he portrayed Stuart Tarleton, one of the Tarleton twins who, along with brother Brent (played by Fred Crane), was a suitor of Scarlett O'Hara. George was erroneously listed as Brent Tarleton in the credits and his role was very minor. Nevertheless, his appearance in the epic film provided a boost for his fledgling movie career. At the time, the future certainly looked bright for the handsome young actor but, as it turned out, stardom would have to wait a while. Soon after being cast in Gone with the Wind, George signed a contract with Warner Brothers studio. The studio changed his professional surname from Bessolo to the more Hollywood-sounding Reeves. During the early 1940s, while at Warner Brothers, Reeves was given parts in B-films and Hopalong Cassidy westerns. In 1942, however, he was cast in the lead male role in So Proudly We Hail!, directed by Mark Sandrich. So Proudly We Hail! chronicles the experiences of a group of nurses returning from the war in the Philippines. When the film was released in 1943, Reeves won acclaim for his performance as Lieutenant John Summers opposite such prominent female stars as Claudette Colbert, Veronica Lake and Paulette Goddard. With World War II raging, Geroge Reeves was drafted into the U.S. Army in 1943. He served in the Army Air Corps as a member of the Special Theatrical Unit and performed in the US Army Air Forces' Broadway show Winged Victory. He then appeared in training and recruiting films such as Last Will and Testament of Tom Smith (1943). After completing his military service, George returned to Hollywood to resume his film career. After the war, he found it difficult to find leading roles in quality films. He was, however, cast as Sergeant Maylon Stark, in the Academy Award-winning blockbuster From Here to Eternity. The classic film was released in 1953 but Reeves' role was only a minor one. With a lack of good film roles, George went to New York in an attempt to find work in the burgeoning television industry. He was offered the part of Superman in a feature film titled Superman and the Mole Men. Superman and the Mole Man served as a vehicle for launching one of the most popular American television shows of the 1950s. At the time, the frustrated actor had no way of knowing that he was headed for TV stardom. The Adventures of Superman, with George Reeves in the title role, began airing in 1952 and ran for six seasons, until 1958. During those years, George enjoyed great fame for his portrayal of the Man of Steel and he was a favourite with children. The syndicated series, sponsored by Kellogg's cereal, was extremely successful. 104 episodes were produced during its run. By the way, George Reeves and other cast members appeared in commercials for Kellogg's. Reeves appeared as Clark Kent in TV ads for Sugar Frosted Flakes. Click on the link below to watch a video about the Kellogg's commercials and to view the commercials featuring Reeves. Prior to the launch of the Superman television series, George Reeves began an affair with ex-Zigfeld Follies showgirl Toni Mannix, the wife of MGM studio's general manager Edgar Joseph "Eddie" Mannix. Toni, an actress and dancer in early talking films, was almost eight years Reeves' senior. Her husband reportedly approved of the relationship. Eddie Mannix, it seems, had a Japanese mistress himself. He was also allegedly linked to the mob. When The Adventures of Superman ended, George Reeves was typecast and had difficulty finding good roles. In 1959, however, his fortunes began to improve - at least on the surface. There were reports that the producers of the Superman series had decided to film another season of the show for syndication and that filming was to begin in 1960. After breaking off his relationship with Toni Mannix, George had begun a new romance with New York socialite Leonore Lemmon. Leonore Lemmon, born May 11, 1923, was almost nine years younger than George. She was the daughter of well-to-do Broadway ticket broker Arthur Lemmon. The flamboyant Leonore was known for frequenting nightclubs and had the dubious distinction of being the first woman kicked out of Manhatten's famed Stork Club for engaging in a fist fight. Her first husband, whom she married in 1941, was Jacob L. "Jakie" Webb, a great-great grandson of wealthy American industrialist and philanthropist Cornelius Vanderbilt. She left Webb after only eight days and later married and divorced musician Hamish Menzies. 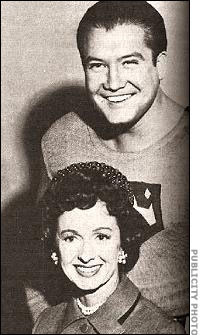 On May 29, 1959, United Press International (UPI) reported in an article titled "Superman Takes A Bride" that George Reeves would soon marry Leonore Lemmon. Several sources reported that the wedding was set to take place on June 19, 1959 in Mexico, just three days after George's death. 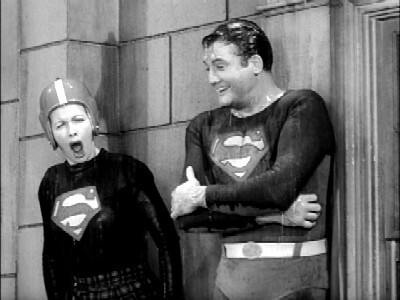 Reeves was apparently scheduled on an international tour, including Mexico, to promote another season of The Adventures of Superman but wedding plans were never officially confirmed. There were also reports that Reeves was scheduled to fight light-heavyweight boxing champion Archie Moore in an exhibition match. George was quoted as telling reporters that the Moore fight "will be the biggest highlight of my life." There was speculation, nevertheless, that it was all a publicity stunt. Things seemed to be looking up for George Reeves until tragedy struck. 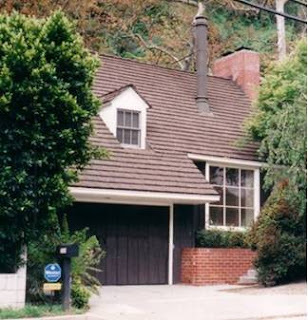 The actor died of a gunshot wound to his head in the upstairs bedroom of his home at 1579 Benedict Canyon Drive in Beverly Hills, a home Toni Mannix had purchased for him. Although his death was officially ruled a suicide, questions remain as to whether he actually took his own life. Was it really suicide or was the shooting accidental? Was there foul play involved.? Was Superman murdered? On the fateful evening of July 15, 1959, George and Leonore and a few guests were partying at George's home until the early hours of the morning. Reeves left the revellers and headed upstairs to his room. A shot rang out and George's body was found sprawled out on his bed. There was no evidence of an intruder or forced entry and no suicide note was discovered. A drunken Leonore and the inebriated houseguests waited approximately 30 to 45 minutes before calling the police. A high level of alcohol (.27 per cent) was found in George's blood, well above the level of intoxication. The alcohol had been combined with painkillers the actor had begun taking after sustaining injuries in a car accident. Over the years, dating back to 1956, George had been involved in a series of car accidents. Those who believe that he was murdered, point to the fact that he was involved in an automobile mishap just weeks prior to his death. The Los Angeles Mirror reported that on April 8, 1959 Reeves' sports car skidded into an abutment on Benedict Canyon Drive, near his home. The actor collapsed at the scene and was rushed to Cedars of Lebanon Hospital where he underwent surgery and was ordered to rest. Although he had a concussion, his condition was not considered serious. According to the Mirror, "police said Reeves suffered a deep 5-in (12.7 cm.) gash in his forehead when he hurled forward against his rearview mirror." A mechanic discovered that the brake fluid in George's Jaguar had drained away. In a 1989 interview, Leonore Lemmon stated that George was a "drinker" but denied that he was a drug user. She elaborated further by describing him as a "social drinker." Leonore stressed that George was "not a down person" and attributed George's "suicide" to his inability to get work and not having any hobbies. She declared, "What made him commit suicide was Superman. It's as simple as that . . . He was just typecast into a thing he couldn't get out of. And he could not work. And that's the whole story." She repeated several times that directors and producers loved him but would not give him roles because of his Superman image. According to Leonore, George had been receiving 10 to 20 strange phone calls per day. She said there was music on the line or the caller just hung up. Although George had changed his phone number, the calls continued. When asked if she knew who was responsible for the calls, Leonore claimed that Toni Mannix was responsible for them. She also claimed that Toni had given George his gun, a .30 calibre German Luger pistol. No fingerprints were found on the gun. The pistol was found on the floor between Reeves' feet. There were no gunpowder burns on Reeves' head wound, which would suggest that the gun was held a fair distance from his head at the time it was fired. - unusual for a suicide. There were also bruises on George's body. Furthermore, George's hands were never tested for gunpowder residue and the spent shell was discovered underneath his body. The bullet that killed Reeves was recovered from the bedroom ceiling and two additional bullet holes were also found in the bedroom floor. Leonore claimed that she had been playing with the gun several days earlier and it had been discharged. On the night of the tragedy, both Reeves and Leonore Lemmon not only drank heavily but argued openly. According to Lemmon, others present in the house at the time of George's death were William Bliss, Carol Van Ronkel, the wife of screenwriter Rip Van Ronkel, and author Robert Condon (Cordon was ghostwriting the memoirs of boxer Archie Moore). Lenore had neglected to turn the lights out and when Bliss arrived with Carol Van Ronkel, the pair were allowed into the house although Reeves had already gone to bed. Their late arrival disturbed George who came downstairs and complained about the noise. Lemmon admitted that when George stomped back upstairs, she remarked something to the effect of "Oh, he'll probably go shoot himself now." 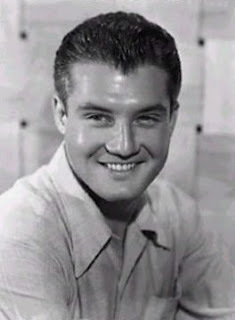 * Some sources state that George Reeves was told by his mother that his stepfather, Frank Bessolo, had committed suicide. In fact,, according to further extensive research and documentation provided by Serena Enger, Bessolo died on March 4, 1944.from multiple brain embolisms. "Mr. Bessolo, who had been treated for hypertension by his doctor since February, 23, 1944, died of multiple brain embolisms in his brain stem with the possibility of a coronary embolism. No autopsy was conducted. He died in an ambulance on route to the hospital at 9:45 p.m. He was 51." At the time of his death, Bessolo was a resident of Manhattan Beach, California and his occupation was described as a "liquor store proprietor." * Ellanora Needles married Beverly Hills attorney Edward M. Rose around 1950. She and Rose had two daughters and remained together until his death in 1984. Ellanora died on February 7, 2002 in Beverly Hills, California at the age of 83. * Toni Mannix died in Beverly Hills of complications from Alzheimer's Disease on September 2, 1983. She was 77 years old at the time of her passing. Her husband Eddie died of a heart attack on August 30, 1963 at the age of 72. 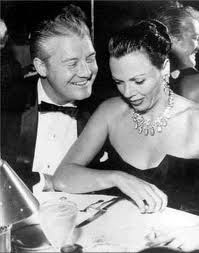 In his will, George Reeves bequeathed his entire estate or the bulk of his estate to Toni Mannix. Toni said that he must have intended the money and the Benedict Canyon house to be donated to the charities with which they were both involved. Leonore complained to the press that Toni got a house for charity while all she got was a broken heart. * In 1999, a Los Angeles publicist named Edward Lozzi told E-Entertainment Television and Extra! that Toni had made a confession to a Catholic priest that she and her husband had arranged for a hit-man to murder George Reeves. Lozzi, who had befriended Mannix, claimed to have overheard the confession while holding the hand of his bedridden friend. According to the publicist, the reason Toni had confessed was that she had been "absolutely terrified of going to hell." The priest, he alleged, had warned him not say anything about what he had witnessed or his life would be in danger. Although, Toni was suffering from Alzheimer's at the time.of her alleged confession, Lozzi claimed that she still had periods of lucidity. In 2006, he repeated his story to the Los Angeles Times and the tabloid The Globe. Lozzi, became a Whte House Press Advamce staffer during the George H.W. Bush administration. He is an occasional contributor to CNN and The Huffington Post. * Jack Larson, now 85 years old, portrayed cub reporter Jimmy Olsen on The Adverntures of Superman After George's passing, Toni Mannix decided to secretly visit the scene of George's death. Larson accompanied her and was sickened by what he saw. To watch a video of Jack Larson discussing the death of George Reeves on PBS, click on the link below. * Noel Neill, who played reporter Lois Lane in The Adventures of Superman, stated she knew of no one who wanted George Reeves dead and that he always seemed happy to her. Noel is now 92 years old. She was the second actress to portray Lois Lane on the show, replacing Phyllis Coates who left after the first season. On July 23, 2010, Noel had a devastating fall in her home in Tucson, Arizona and fractured her hip. According to Larry Ward, her friend and biographer, she has since relocated permanently to Metropolis, Illinois where a statue of her as Lois Lane was erected in 2010. Helen refused to believe that her son had taken his own life and always maintained that George had been been murdered. She had his body exhumed and a second autopsy took place. The body was then cremated. Helen also hired a private investigator, the Nick Harris Detective Agency, to probe the circumstances of her son's death and the investigator concluded that suicide was not the cause of death. Helen denied that George had been planning to marry Leonore Lemmon because he had never informed her. * After George's death, Leonore Lemmon left California (She never really liked California and referred to herself as a "New York girl." Her body was discovered in her New York apartment on January 4, 1990. She was 66 years old. * An urban myth has been circulating for years that George's role in From Here to Eternity was drastically edited when preview audiences reacted after recognizing him as TV's Superman. Director Fred Zinnemann, screenwriter Daniel Taradash and assistant director Earl Bellamy have all denied that the rumour is true. * A 2006 movie called Hollywoodland speculated about the death of George Reeves. The film starred Ben Affleck in the lead role.as Reeves and Diane Lane as Tonni Mannix. * The Adventures of Superman was one of the first television series filmed in colour. * On August 11, 1956, George Reeves sang and played guitar on the very first episode of NBC's The Tony Bennett Show in New York. The day before George's appearance on the show, Hal Humphrey's column in the Mirror-News was entitled "Elvis, Look Out! Here Comes Superman!" Humphrey declared that George was distressed because he was unable to find many film roles since he began playing Superman. He quoted Reeves as saying. "That's why I was glad to get this spot with Tony Bennettt. It will give me an opportunity to prove again that I haven't always been Superman." 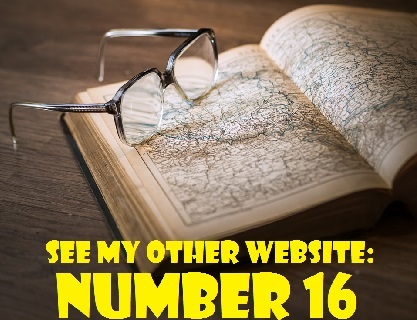 * Several books have been written about George Reeves including Serial to Cereal, by Gary Grossman; Speeding Bullet, by Jan Hendersen; and Hollywood Kryptonite: The Bulldog, the Lady, and the Death of Superman, by Sam Kashner and Nancy Schoenberger. * Despite the forensic evidence suggesting that a suicide did not take place, no one was ever charged in connection with the death of George Reeves. George Reeves was a man to be looked up to as we were kids growing up. Coming from an unhappy home life, he was my rock and helped set my life perspective. I am sad if he was unhappy being typecast but I am sure he now knows how many lives he really affected and to what degree. He will always be the best Superman and appeared to be a truly great person off screen. I wish I could say thank you in person. I love George and he is the best Superman ever.